Berryrose's Weblog | Setting The Captives Free! The bus driver had the floor. He clicked the reins and as the horses started he continued. “Well I heerd that her skirts was all pulled up an she was a layin in a most indecent fashion.” Said one marm with a basket of eggs held most carefully on her lap. “An that goes to show wot type of wumman she were for no decent Christian would be caught dead in such a way.” added another self righteous matron who they all recognized as a staunch chapel goer. By this time the bus was full and well on its way to the city, with, all who climbed aboard adding comments pro and con, concerning Mary Ann Nichols conduct in life and stance in dea/th. Maykin and Nollie rode, on listening much but saying little, and when they finally alighted they each thought how interesting it was to drive on a bus from the suburbs into the city. What he did not see was the stranger, after bumping into him, touch his head lightly but swiftly and lay him gently down. As he did this the figure with the bundle up ahead spun; and the bundle of flax disappeared; he was in full battle dress and in seconds had looped his body over Shem’s in a protective stance. Shem’s stranger also spun to face the bushes on the opposite side of the road and the change in him was a thing of beauty. The two Nephilim were stepping out of the bushes as he was rushing in. He carried them back in with him. “You Uzai (velocity of the Lord)?! !” Screamed Nekeb. “And Zithri (protection of the Lord) !! !” Screamed Zalaph looking at the angel bending over Shem. “What are you two doing down here?” demanded Zalaph as they rapidly dropped their giant human forms at the edge of the bushes where they were trying to dash across at Shem. It tore off Zalaph‘s left arm and slammed him against Nekeb with such force that both their bodies went screaming through the air. 3600 gardu (two leagues) later they managed to apply brakes and came flying back, while their curses echoed for miles around. Because they were in such a rage, they didn’t notice Uzai again flying toward them with all speed, his sword stretched sideways. “Who is God save the Lord?” He asked, putting the question to the world at large. As Nekeb saw the sword headed straight for his throat, and his throat headed for it, he did a double-dip-desperate-dive, mouth wide in a ghastly grin of horror and pulled Zalaph in front of him with a death grip, causing Zalaph‘s head to roll off instead. For Zalaph it meant chains of darkness for sure, with no bail before, or parole after sentencing. Seeing this, Nekeb then tried to escape, but that was his undoing. Uzai overtook him swiftly, and flying above him, swung down with a powerful blow. It cleaved him in half from the top of his head straight through to the place where two thighs met. He joined his ‘friend’ in the chains of darkness. He heard Zalaph cursing before he fully arrived. “Forever Oh Lord, Thy word is settled in Heaven!” Was the joyful triumphant sound that rang on the evening air, as Uzai floated down for a perfect landing beside Zithri and Shem. 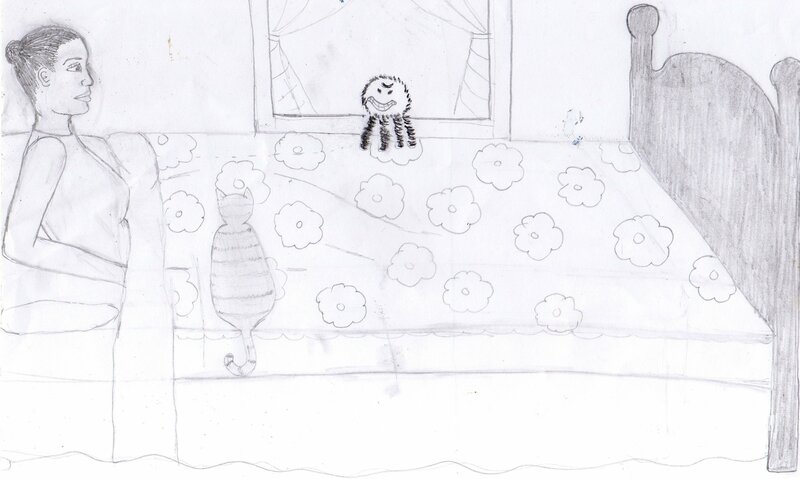 The stranger was now holding out his hand to Shem; now brushing him off; now commiserating with him. “What happened?” asked Shem in bewilderment. “Something in the bush made me jump.” Said the stranger. “I see what you mean.” replied the stranger as they set off. “I tell you what, I’ll call out to that young man up ahead with the bundle of flax on his back. I’m probably going farther than you are anyway, and I can have him for company after you stop off. Hie! Young man. Wait for us please. It took a year but I finally wrote my second book and it is now available on amazon kindle. 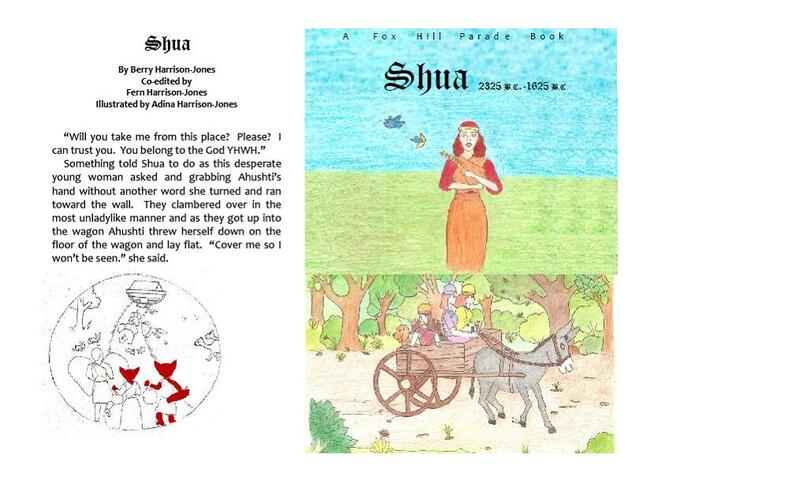 This book features the life of a young girl who becomes the wife of Shem, son of Noah and tells of her adventures! It also gives insight into the lives of the Nephilim (fallen angels). You can purchase this ebook and download kindle for pc. Here is the link for the free download. And here is the link to my book! For those of you in the Bahamas who already bought and read ‘Fox Hill Parade’ I have it in ebook style as well. Happy reading and God bless!